Identify a new drug combination that will be able to block the ability of cancer cells to repair themselves after radiotherapy treatment. 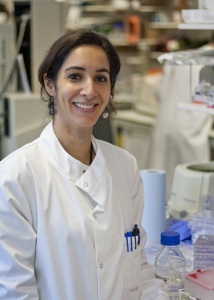 Dr Hind Hafsi is carrying out preclinical analyses of a novel anti-cancer agent aimed at enhancing the radiation response in head and neck cancer patients at the Institute of Cancer Research. This project which is seeking to identify a new drug combination that will be able to block the ability of cancer cells to repair themselves after radiotherapy treatment. The project is being generously funded by the Bender Foundation and is expected to be completed in autumn 2016. Whilst radiotherapy is an effective treatment for all sorts of cancers, it is also possible for some cancer cells to repair themselves after being targeted with radiation. So, if it was possible to use a drug combination which prevents this ‘self-repair’ it would mean radiotherapy could lead to 100% cell death. Dr Hind Hafsi is carrying out research for Oracle to discover whether a pioneering new drug combination will be able to block the ability of cancer cells to repair themselves. 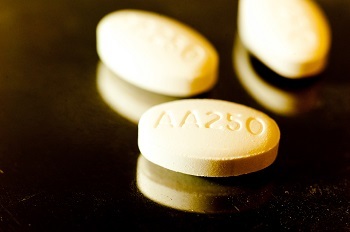 This is the first project of its kind using this particular drug combination. Dr Hafsi has recently completed the first stage which is to find the correct concentration of drugs and to assess how well the drugs work in combination with each other in the laboratory. The next step is to test the toxicity of the combination and compare its activity on healthy and cancer cells. The aim as always is to ensure that as little damage as possible is done to healthy tissue. After more tests Dr Hafsi hopes to conduct a small clinical trial as part of the Oracle project.